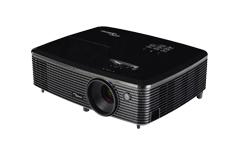 Projectors give you a great-quality display to suit your room and surroundings. 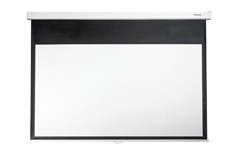 You can set a display size to match your space - from standard TV sizes to well over 100” for serious entertainment. Whether you’re looking to create a cinema experience at home or need a reliable display to share your ideas on in the office, we have a projector that you’ll love. 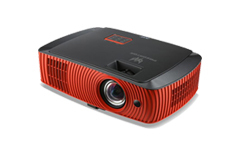 Relax with home cinema and gaming projectors, get to work with business projectors and present anywhere with portable projectors. Create your ideal setup with screens, mounts and more. Home cinema and gaming projectors are designed to give you the most immersive film and game experience possible. Capable of delivering detailed visuals and screen sizes beyond even the largest screens, you can watch and play like never before. 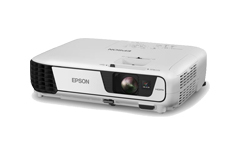 Business projectors are great for sharing presentations, videos and more from laptops, tablets and other devices. They’re designed to be reliable, simple to use and easy to connect to, so you can get to work without any hassle. 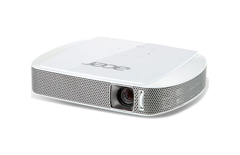 Portable projectors are small, compact and can be taken anywhere. They’re ideal if you’re working away from the office, reviewing action-cam footage on a trip or watching films from your phone on a bigger screen. Our projector accessories range has everything you need to get the best from your projector. From screens to mounting brackets, it’s easy to create the perfect business or home cinema setup.